It’s 2017, and corporate culture is more important than ever. These days, job seekers are putting more and more weight on whether or not a company is a culture fit, as a thriving culture is now a necessity versus a perk. After working at Insite for 5 years, I left in 2014 to pursue another opportunity, one of the major things that drew me back to Insite was the culture. Not only is our office space inviting (have you visited us?! ), but the team is welcoming with a very family-like quality. What does it take to create a strong culture? There are a variety of approaches for success—here are a few methods that we use to constantly keep our culture on the upswing. Bringing coworkers together and having fun. Sure, “team building” has a cheesy connotation and some (ok, most) people grumble at the idea of it. But, there are several ways to get your team involved that don’t include solving a riddle or catching one another. 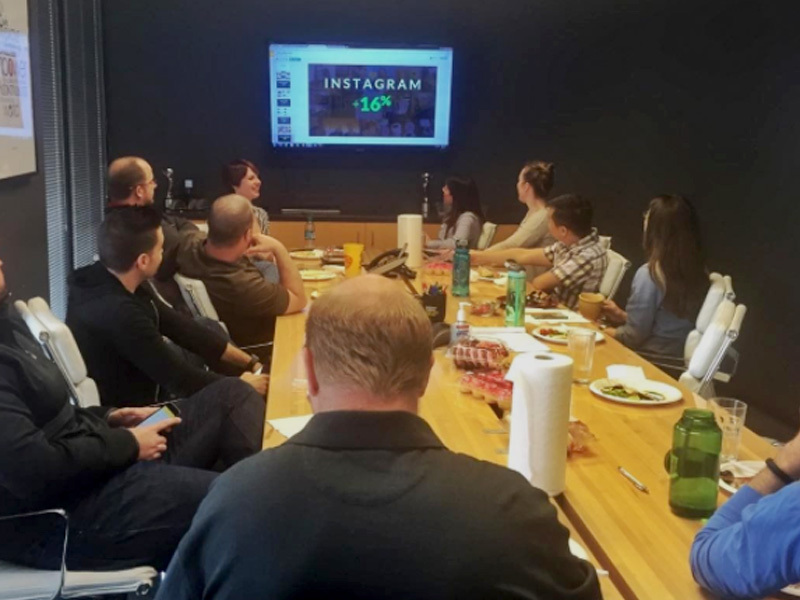 One way Insite gets the team working together is by holding a team breakfast one Friday each month. The idea is that one department plans and executes breakfast to share with the team. 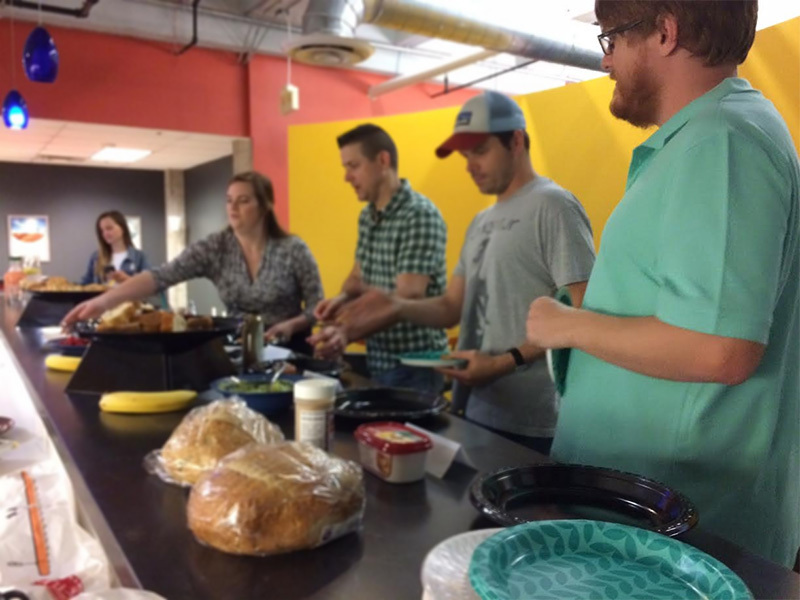 In February, we had a breakfast taco bar. 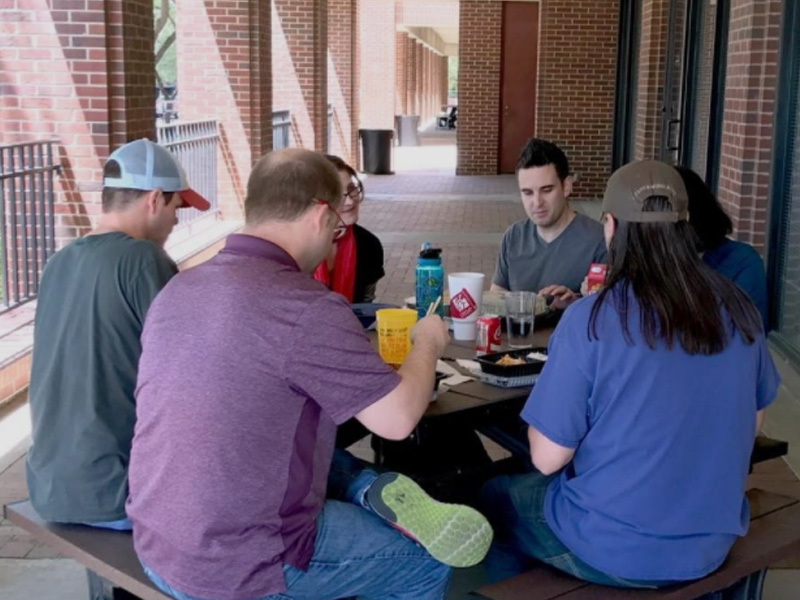 The team was able to come together to share food and non-work related conversation. And the best part (for productivity, anyways) is that we didn’t even have to leave the office! Taking the necessary time to keep everyone aligned. Weekly team meetings can be a drag when they are unproductive. But, holding a weekly meeting that aligns everyone on where projects stand for that week, month, and sometimes year, are hugely effective. In addition, quarterly meetings discussing key goals and metrics provide team members a big picture view of where the company is and what remains as far as achieving those goals. This also gives employees a chance to brainstorm, chime in, and strategize together so that everyone has a chance to be heard. Making the workplace family – and schedule – friendly. The workplace is evolving, and work-life balance is a must. So what can companies do to maintain a balance so that employees have flexibility? Insite practices “flex time” – everyone chooses their standard hours, which means the early birds are happy and late risers are even happier. Between doctors’ appointments, parent-teacher meetings, visits to the vet, and car maintenance, the weekends just aren’t enough time to get everything done. Having a flexible schedule is invaluable.